Built in 1926 as a lighthouse tender, the Gerda III appears to be a common Danish workboat. But in October of 1943, she played a much more important role. The boat was used by Henny Sinding, the 22-year old daughter of a Danish Navy Officer who commanded the country’s Lighthouse and Buoy Service, and a four-man crew to rescue Jews from Nazi-occupied Denmark. The refugees were brought to a warehouse along Copenhagen’s waterfront and smuggled aboard the Gerda III, hiding in the cargo hold. The little vessel then set out on her official lighthouse supply duties, but detoured to the coast of neutral Sweden and put her “cargo” ashore. Although the vessel was regularly boarded and checked by German soldiers, the refugees were never discovered. The Gerda III rescued approximately 300 Jews, in groups of 10 to 15. Henny Sinding and the brave crew were not part of the organized Danish resistance movement. Ordinary Danish citizens were outraged by the Nazi plan to deport Jews to the death camps. The Danish people mounted a spontaneous effort that saved more than 7,000 of their Jewish neighbors – almost the entire Jewish population of Denmark. 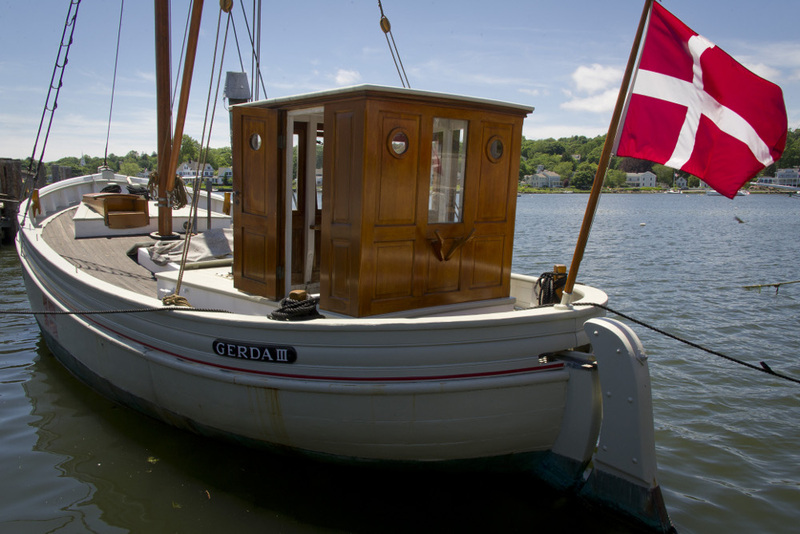 By an act of the Danish Parliament, the Gerda III was donated to the Museum of Jewish Heritage in New York City. The vessel was restored to her wartime appearance, complete with neutral flags, by the J. Ring Andersen yard in Denmark. Mystic Seaport Museum is proud to help care for the boat and exhibit her in the United States. Of the 300 boats that participated in the evacuation, Gerda III is believed to be one of only three that remain afloat. By an act of the Danish Parliament, Gerda III was donated to the Museum of Jewish Heritage and Mystic Seaport Museum is proud to help care for and exhibit the boat.